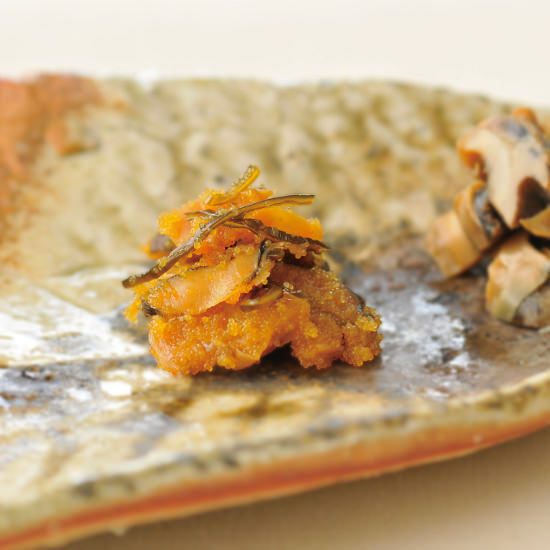 Over 2000 years since Ise Jingu was enshrined, we have offered this Awabi(abalone) to the great deity. 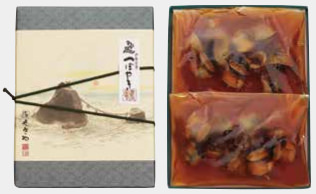 This abalone was used as tributes to the imperial court and also served to warriors or samurai on the special occasion to wish for their luck and celebrate their returns. Even today, we have a term “Noshi Awabi”, Noshi is a decoration for the envelopes which are used in the important celebration and Awabi always accompanied it. 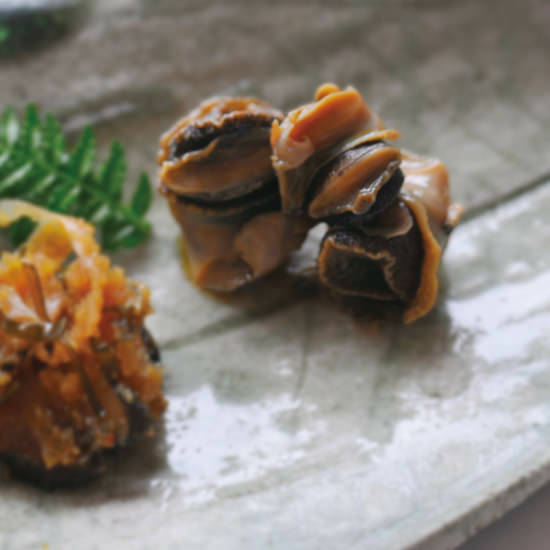 For us Japanese Awabi is not only a shellfish but a special and auspicious food which is used in occasions of celebration. 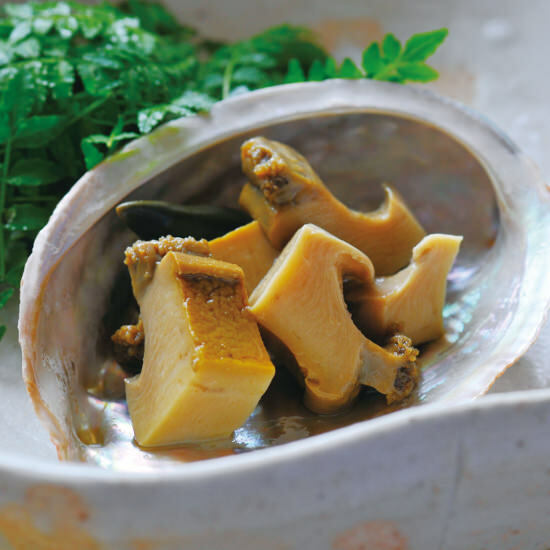 “Sangu Awabi Sugatani” is specially and carefully cooked so you can enjoy its flavor as if fresh from the ocean and whole abalone is packed with its shell. 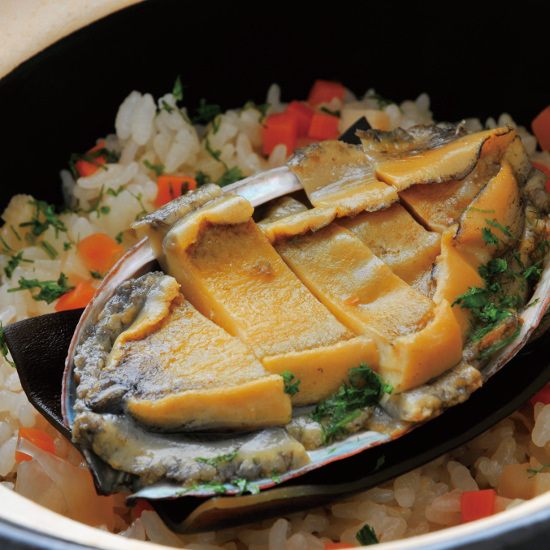 We choose abalones very carefully and cook them in our original way with our one and only special sauce generously. This is why our “Sangu Awabi Sugatani” is so soft and tender. 「参宮あわび姿煮」と「参宮あわび脹煮（ふくらに）」の二種類をご用意しております。 We offer “Sangu Awabi Sugatani” and “Sangu Awabi Hukurani”. 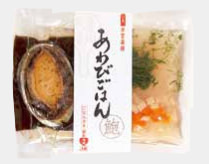 We marinate Akanishigai( Rapa Whelk), fish eggs, kobu seaweed while keeping their freshness one by one and let them mature slowly with care. These procedures give Komochi Shigure a full flavor and depth. It goes great with white rice And is also splendid for Sake. 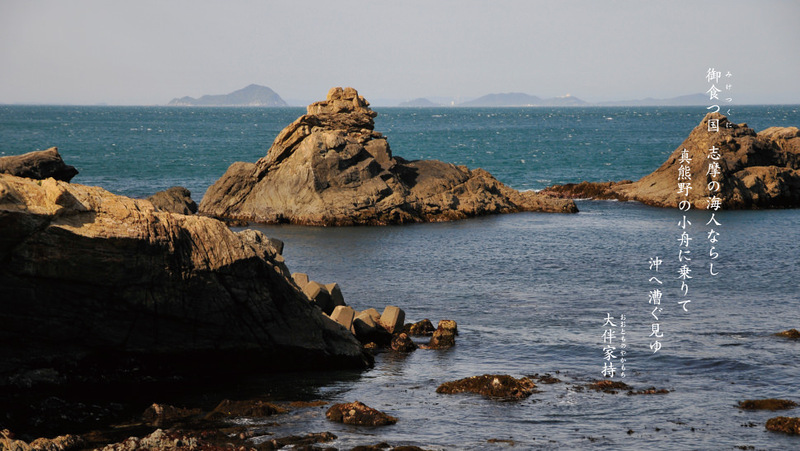 Here, Ise Shima, people have enjoyed this gift from the ocean for over half century. We offer various series of boxed gifts and also small amout packages for you to enjoy yourself. We make fresh and juicy Akanishigai ( Rapa Whelk) into this Tsuboyaki according to our hometown “Tsuboyaki” recipe with our original sauce. 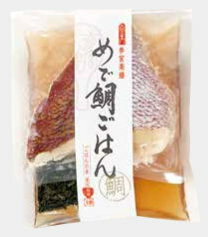 You will enjoy flavor of the ocean and savory taste derived from succinic acid found in Shellfish. It is great to have as it is and it also serves wonderful as Takikomigohan (cooked rice with tasty sauce). This is our masterpiece. We proudly offer this Awabi Gohan which is for Takikomi Gohan (cooked rice with sauce). This contains tasty sauce and thinly sliced Sangu Awabi. Now we offer seasonal Awabi Gohan and we also offer boxed gifts for special occasions. In Japan we have four seasons and each is filled with beautiful blessings from the nature. We adopt the best of the seasons to our recipe and bring its full flavor right to your table. We hope you will enjoy the best that we can possibly offer. 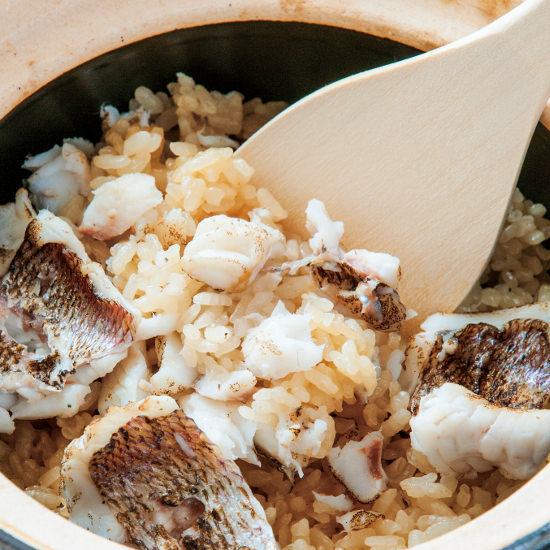 We slowly simmer fresh sea bream carcass to bring about the best broth and make this Medetai Gohan with white meat of the bream and light soy sauce. Tai (sea bream) has been and still is our first choice for festive occasions. 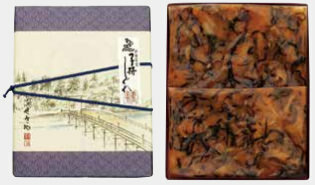 Now we offer the Medetai Gohan gift with season’s special. We also offer boxed gifts for special occasions. We adopt the best of the seasons to our recipe and bring its full flavor to your table. We hope you will enjoy our best.